In the eastern Alps of Italy, near the Austrian border and a short drive from Venice, the Dolomiti mountains spring from the ground. In the valleys live artisans who for over one hundred years have been crafting fine eyewear by hand. Steeped in the Venetian decorative tradition, and the Northern Italian instinct for fine quality, Dolomiti Eyewear designs stay true to their origins. Classic styles have a smooth design that have withstood the test of time. 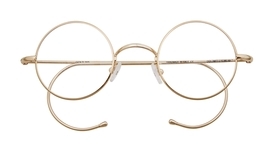 Oval and round glasses frames bring balance and harmony to the face. 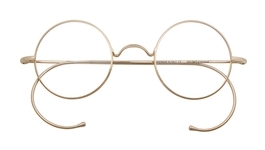 Frames are made with Alpaca, an alloy that is 82% copper, bringing many known healing benefits to the body. 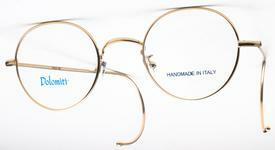 Every component of the frame is 100% made and assembled in Italy. Each frame is coated with 20 layers of Swiss shellac, which provides a durable hypoallergenic barrier. 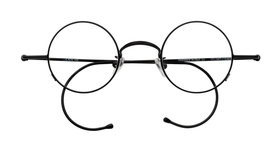 Dolomiti round glasses and Dolomiti classic oval eyeglasses are simply the finest quality round glasses available. 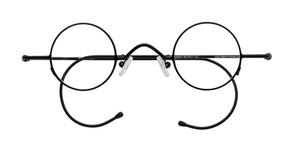 Available in skull and polo style temples with spring hinges; also available with cable temples. All temples are interchangeable, so you can special order any combination of frame front and temple.